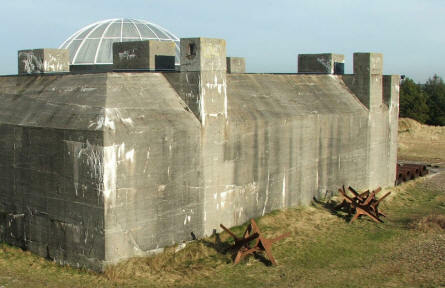 During World War II the Germans had some strong fortifications in the Blåvand and Esbjerg area. 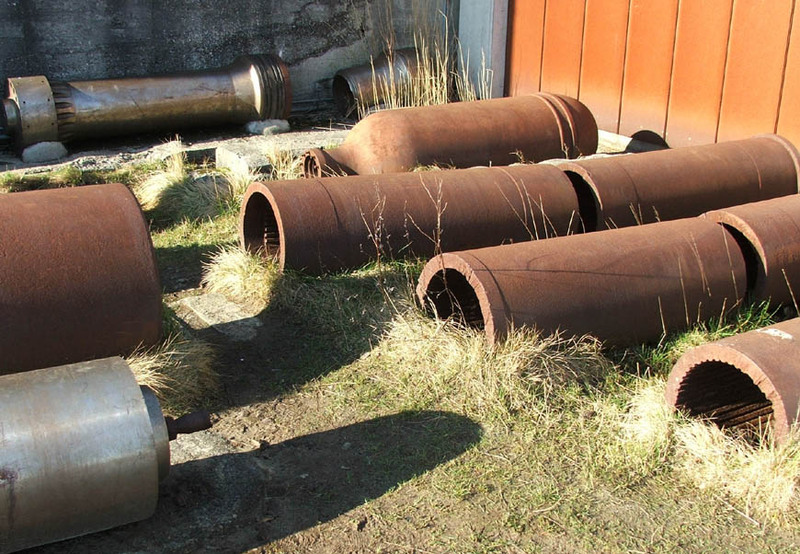 One of these point should have been the Tirpitz Battery, but this battery was never finished. 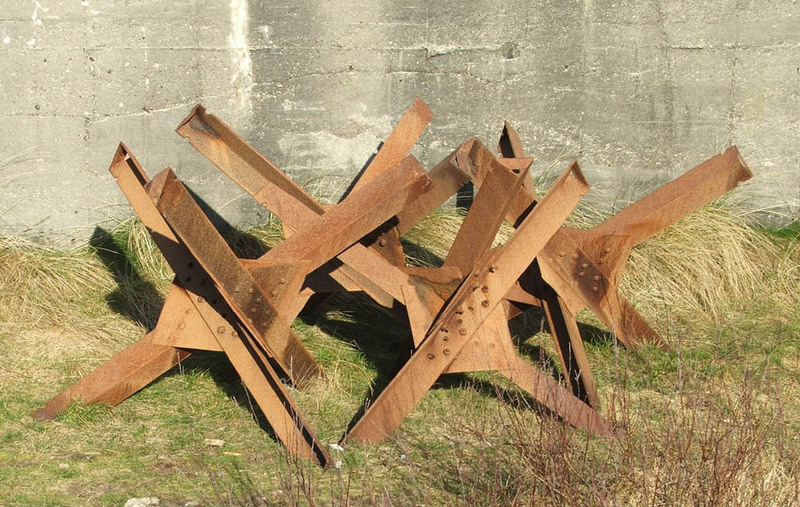 If it had been finished, it would have had some of the strongest guns on the Atlantic Wall. 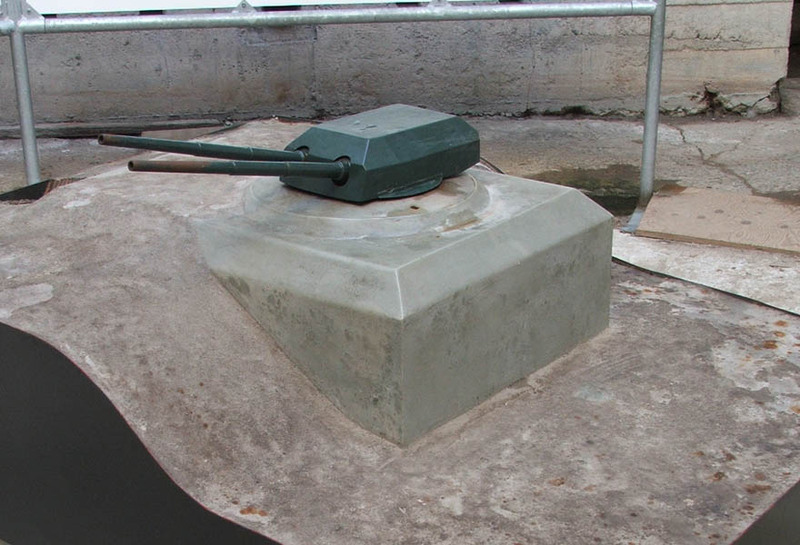 A scale model of how one of the main bunkers should have looked, it the Tirpitz Battery had been fihished. The guns are from battleships like the battleship "Tirpitz". One of the main bunkers from the Tirpitz Battery. 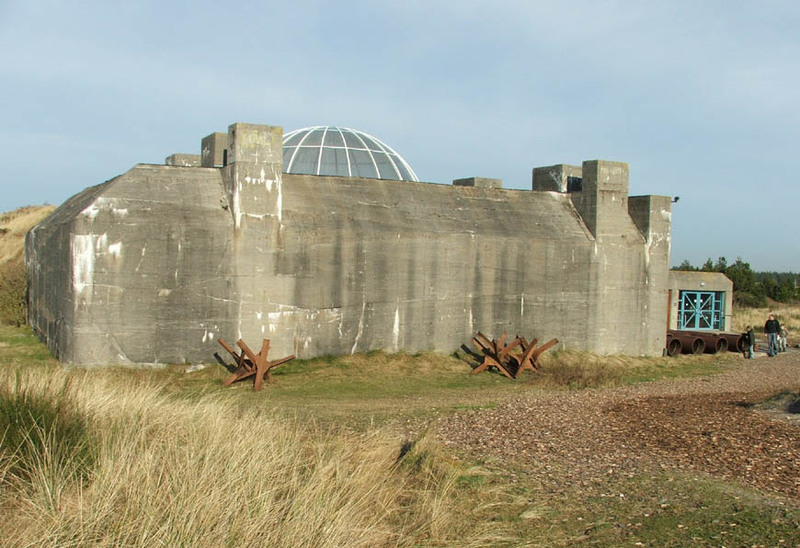 The only bunker, which is more or less intact today. "Czech Hedgehogs" outside the Tripitz Battery. 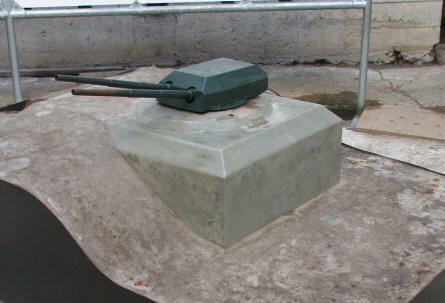 These were used all over the beach to prevent tanks and other vehicles to get onto the beach. Parts of the large naval guns that were to be a part of the Tripitz Battery. 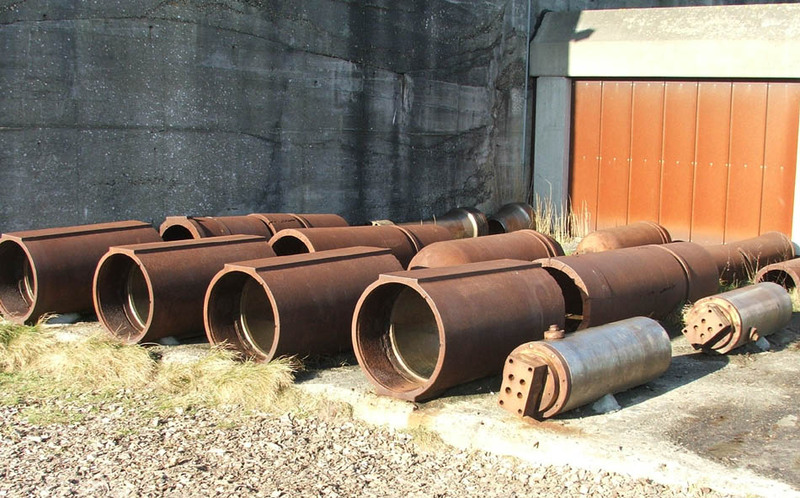 Parts of the large naval guns that were to be a part of the Tripitz Battery. Some of it is replacement parts for the inner barrel of the guns. 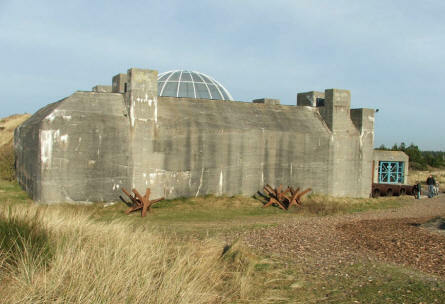 The remaining main bunker of the Tripitz Battery with "Czech Hedgehogs" in from of it and gun parts at the end. The glass bubble is where to gun were to be mounted.